I'm a big fan of coasters. Not only do they protect your tables from unwanted water and beverage marks, but using them is also a fun and easy way to decorate your home! The only downside is that nice coasters can be quite costly. In my experience I've gotten them for about $8 a pop, which starts to get pretty expensive when you want to buy at least a dozen of them! A few weeks ago my mom, sister-in-law and I were feeling crafty and decided to try making our own coasters. I'm telling you, all of this time I had NO idea how fun, simple, and inexpensive it is to make your own! I'll never buy another coaster for as along as I live! We referred to a great tutorial online by two girls being crafty. 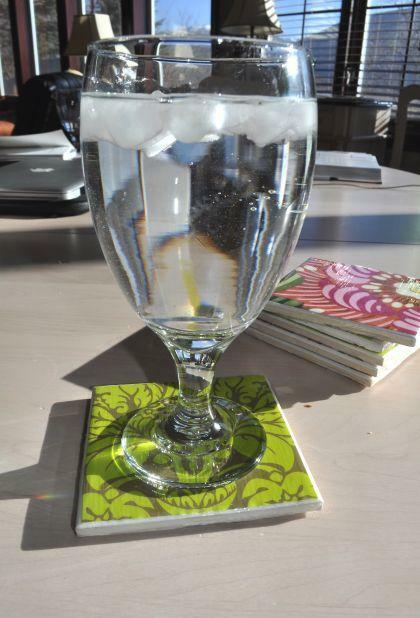 I would highly recommend looking at their post if you are going to mod podge your own coasters- the instructions are so detailed and easy to follow! 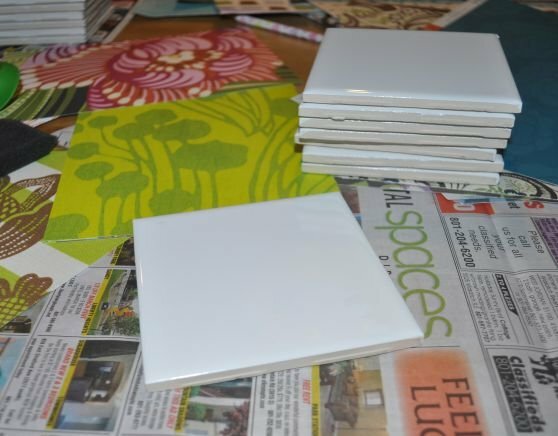 We started out by picking up a bunch of plain white ceramic tiles. Nothing too fancy, just the most basic kind we could find. 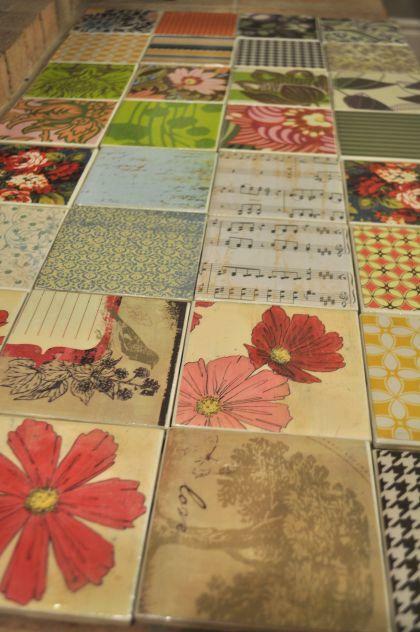 Each tile cost only .22 cents. 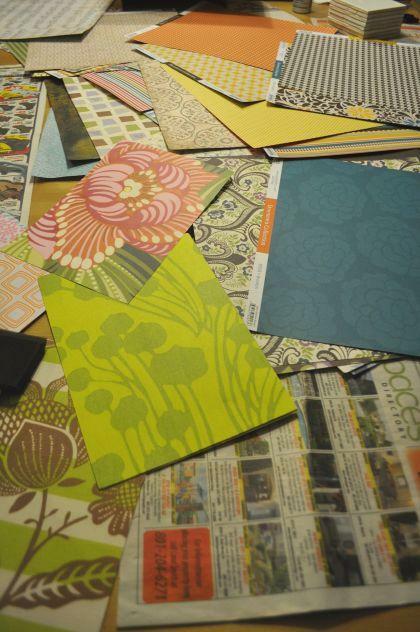 Next, we picked out paper to mod podge onto our tiles. I had been hanging on to some Amy Butler stationary for a while, and I decided this was the perfect time to put it to use! We traced and cut out the paper to fit the tiles, then got our mod podge on! 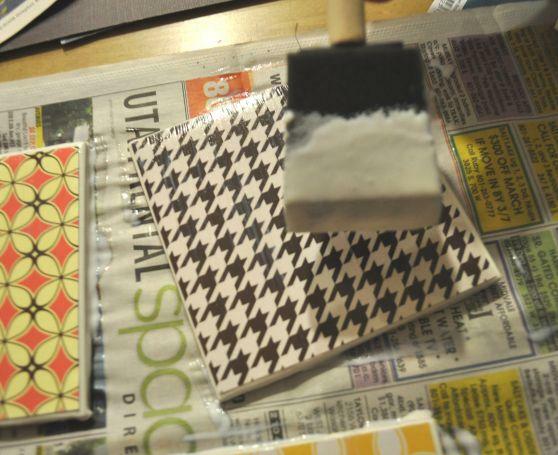 First, we applied a coat of glue to the tile itself, then we laid down the paper on top and layered on another coat of glue right away. 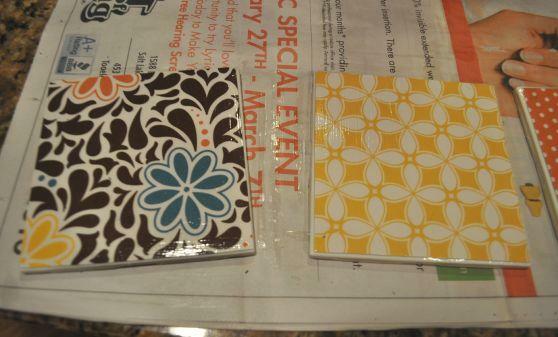 We let all of the tiles dry for 15-20 minutes, then added a few more coats of mod podge for good measure. After they had all dried, we glued felt to the bottoms (the last thing you want is a coaster that scratches up your furniture), then we sprayed them with a clear acrylic glossy spray for optimum shine. Voila, check out the finished product! I LOVE how they turned out. 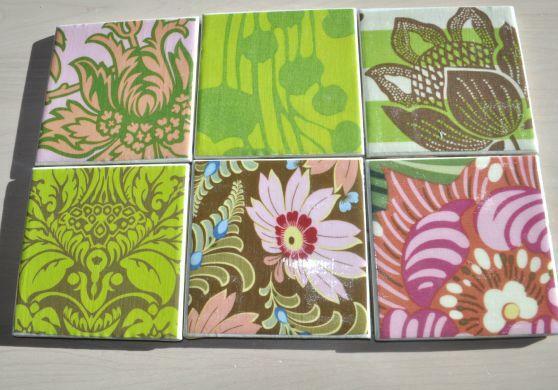 I'd say they are just as cute, and just as functional as the coasters I got from Anthropology. All in all, we figured that each coaster only cost about .60 to .80 cents to make. That means I made 10 coasters for less than the price of one store bought coaster. Awesome, right? 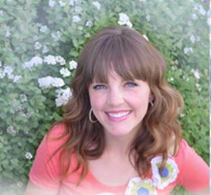 Congratulations to Jessica, our last Vacation Giveaway Winner!! Jessica, email me your information so that we can send you guys on a much needed vacation for your anniversary! Thanks for entering everyone! I wish we could have given everyone who left a comment a vacation- heaven knows you all deserve one! Sony Slam Dunk Sweepstakes- Want a Free 55" HDTV? 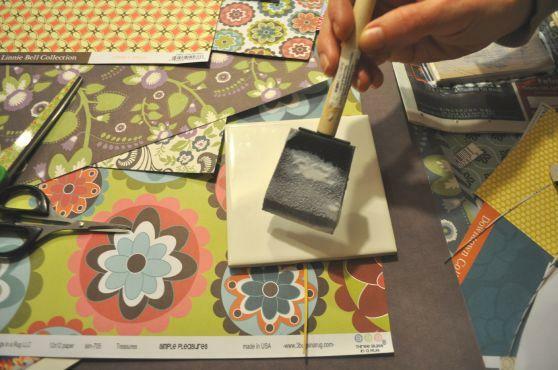 FREE Design Seminars Throughout March! Need a Vacation? We're Giving Away 3 of Them!